Posted on May 7, 2018 at 3:35 am. Glaze is a layer of coloured material that is fused to the surface of a ceramic and porcelain tile through the heat of firing. It provides a tough surface tend to be more stain resistant, and often decorated and coloured in an attractive fashion. Glaze is comprised of powdered glass. This glass usually melts at a very high temperature, but the addition of flux lowered the melting point, so glaze can be fused to the ceramic material with the temperatures of a kiln (about 800 degrees centigrade). This layer of glass coating gives extra protection from stains. Glazed ceramic and porcelain tiles provide wider range of design and colour to choose from, compared to unglazed tiles. Whether you choose glazed or unglazed, tiles are quite durable, not suffering wear unless exposed to many years of use in tough condition. They can be broken or cracked by a sudden impact. But this sort of damage is quite rare, and when it does occur the damaged tiles can be replaced, restoring the tiled surface to new. The glazed surface adds to the durability of the tile, and suffers very little fading even after many years of use. 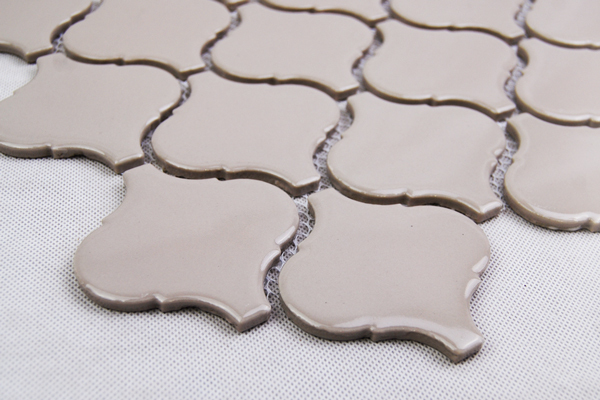 There is a greater variety of tiles available than ever before. Find the right tile for your DIY project or renovation. Or browse the options and be inspired to create something new in your home.